Craving a deliciously healthy meal or snack? Order a healthy salad, juice, or smoothie from a Top Juice restaurant near you. Starting out as a small, family-run business in Sydney's Double Bay back in the early nineties, Top Juice has since evolved into a chain of healthy fruit bars across Sydney, Melbourne, and Queensland. 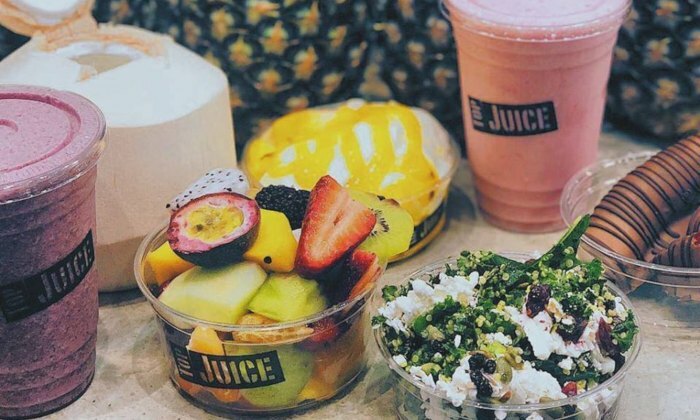 Still owned by founder Ali Sawan, Top Juice has retained its original ethos of delivering the freshest, best quality ingredients to their loyal customers. OK here's the deal, even if you're not a salad person, you're gonna wanna order one of these bad boys from Top Juice. Even the most salad-averse foodie will be won over by their Grilled Chicken Salad, featuring everything from zucchini, carrot, sweet potato and mixed herbs, to green beans, baked potato, red capsicum, yellow capsicum and cherry tomatoes. And if that doesn't tickle your fancy, they have other, even more mouthwatering, salad menu options. Honestly, between the fresh juices, yummy yoghurts, scrumptious salads, and filling smoothies, Top Juice will win over even the biggest health food skeptic. Log onto the Menulog app or website and within a few taps your delightfully healthy meal or snack could be delivered right to your doorstep!